Aston Martin’s most performance-focused, road-going Vantage ever – the Vantage GT12 – will make its world dynamic debut at the Goodwood Festival of Speed. The extreme, lightweight special edition features a 6-litre V12 engine producing 600PS and bridges the gap between road and track driving in spectacular fashion, calling on Aston Martin’s rich heritage in motor sport. Only 100 of the special editions will be built and all of them have already been snapped up in advance by eager buyers. Visitors to Goodwood’s Moving Motor Show on Thursday, June 25, will get a sneak preview of the Vantage GT12 as it takes its place as a static display in the Supercar Paddock. The car will then tackle the famous 1.16-mile Goodwood Hill Climb course, with Aston Martin CEO Andy Palmer at the wheel during the Festival weekend. 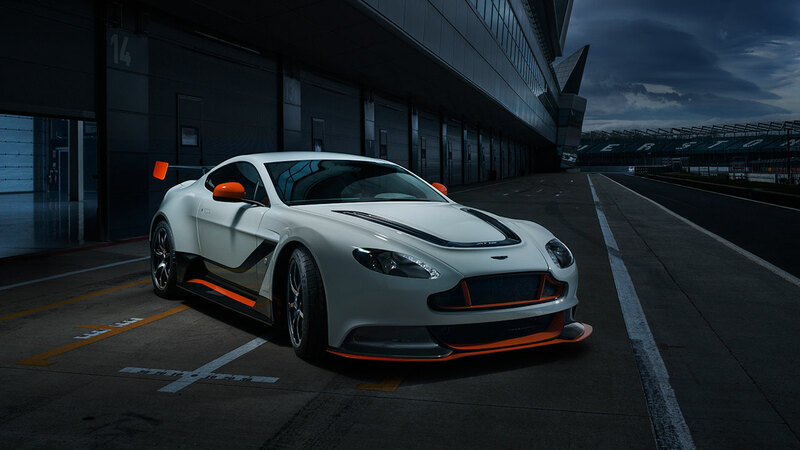 Comprehensively re-engineered, the Vantage GT12 is inspired by the marque’s V12 Vantage GT3 race car and is significantly restyled to reflect Aston Martin’s motor sport pedigree. The car is packed with race-inspired features, from its lower and wider stance and track-focused aerodynamics package to the extensive use of carbon fibre throughout. The sixth annual Moving Motor Show is expected to attract record crowds, eclipsing last year’s 34,000 visitors. Over the years, the show has hosted tens of thousands of people and up to 500 different models of car, which have completed an estimated 6,000 miles of driving on the famous Hillclimb. Twenty car manufacturers will exhibit at this year’s event on June 25 and visitors to the Moving Motor Show also get an exclusive ‘sneak preview’ to the Festival of Speed. This includes access to the Formula 1 Paddock presented by Sky Sports F1, Cartier ‘Style et Luxe’ Concours d’Elegance, Michelin Supercar Paddock and all of the automotive show stands.